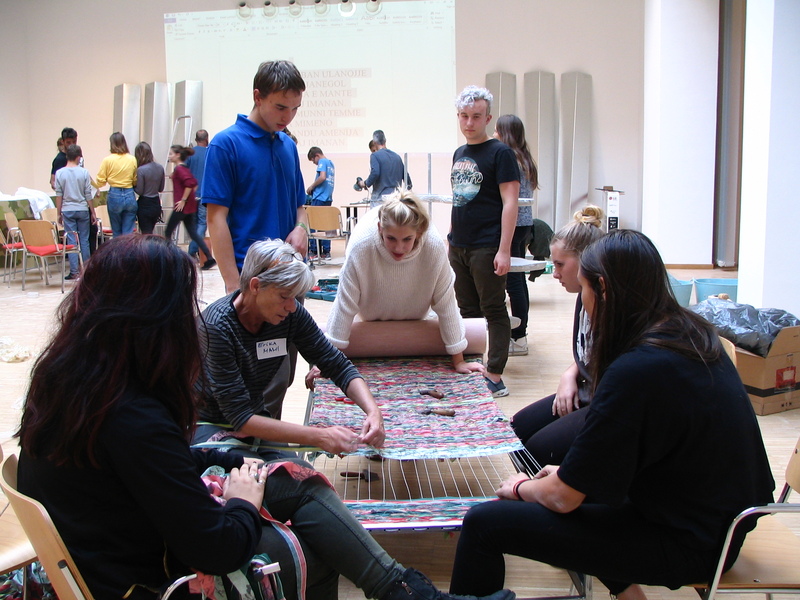 On 24-25 September, a two-day workshop evoked the spirit of Gaudiopolis, the self-governing children’s republic, with the participation of children from Cseppkő Children’s Home and Fészek Waldorf School in Solymár - under the creative guidance of Architecture Uncomfortable Workshop, Budapest (AUW). Gaudiopolis, founded by evangelical priest Gabor Sztehlo, operated between 1945-1950 in Budapest. Its main goal was to foster both theoretical and practical learning for its residents. In the workshops of Gaudiopolis, children made their own furniture and many other items for personal use. The workshop at Blinken OSA invited students to experiment with form and matter, co-creating similar objects for the exhibition. The resulting artworks made with various techniques (clay, carving, weaving, and plastering) evoke the nonsense verses of renowned Hungarian poet Sándor Weöres, morphing into new creative artistic interpretations through flexing their original shapes and function. The artworks created during the workshop are displayed at the exhibit titled Somewhere in Europe- Gaudiopolis - a joint project of the the Vera and Donald Blinken Open Society Archives and the OFF-Biennale Association.